Shopping for Naruto Key Chains? Bring the fun of Naruto along on every daily adventure! 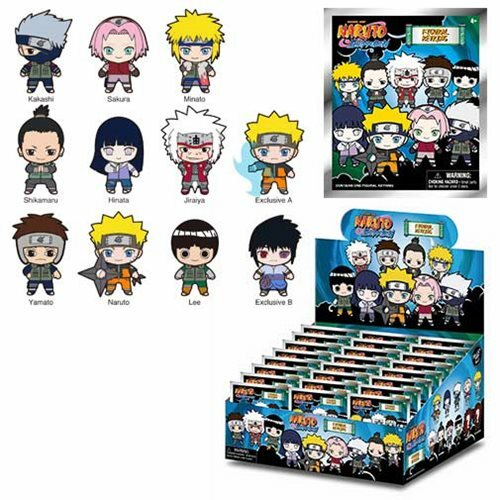 These Naruto Shippuden 3-D Figural Key Chains measure approximately 2-inches tall and come packaged in blind bags for fans to hunt and collect them all! There's even chase figures to find. Please note: This item may have variants randomly inserted throughout the production run. We cannot accept requests for specific variants, nor can we accept returns on opened items. The item you receive may be different from the one pictured. Ages 4 and up.